Being asked to be a godparent for a sweet, little baby is a huge honor. It means that their parents trust you enough to make you a second parent for their child. Make sure you bring something memorable on the day of the Baptism like this musical plush toy! 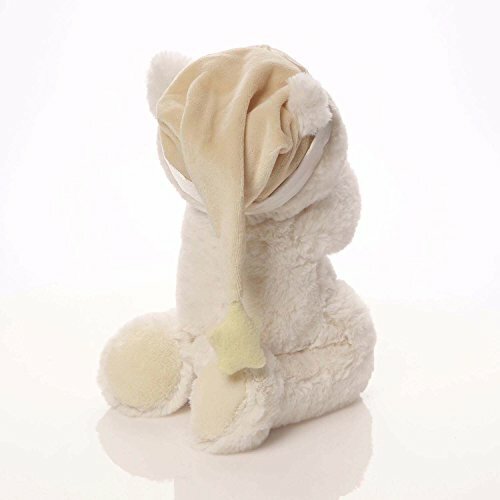 It gives comfort and even plays a soothing lullaby to help baby sleep in peace. 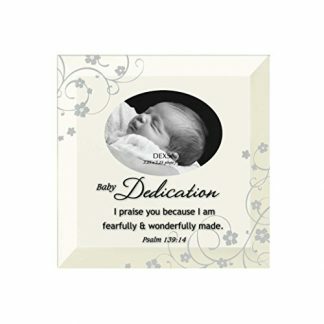 If you are chosen to be a godparent to a precious, sweet little baby – then that is such a huge honor! Being chosen to be a godparent is a huge responsibility, but it also means that the parents of the child are confident to entrust you as a second parent for their child. It is not everyday that you can stand in as a second parent to precious children, and it is only right to make sure that you make your love and care felt with a gift like this musical teddy bear right here! 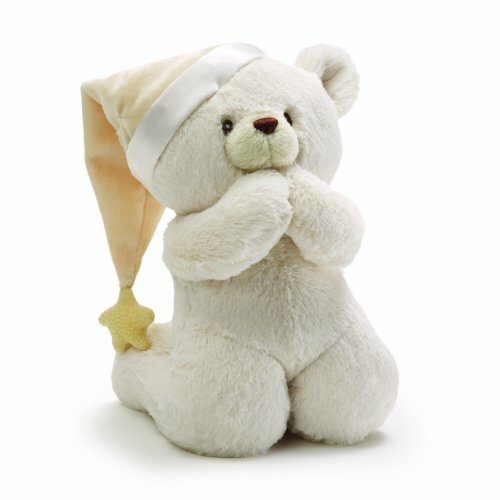 This plush teddy bear gives joy and comfort to little babies and kids. 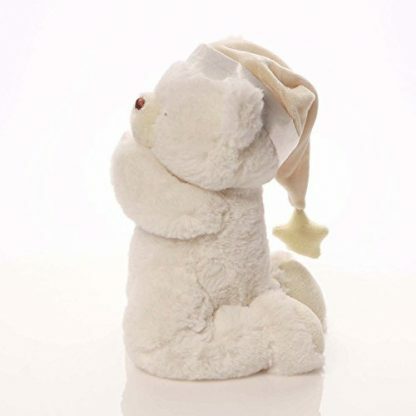 It also plays a soothing lullaby that can help baby go to a sound and peaceful sleep. 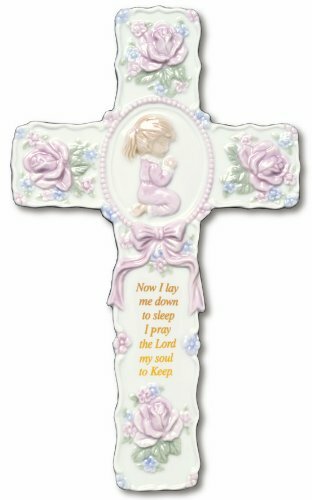 Your godchild may not remember his/her baptism or dedication day, but this gift will be with him/her for a lifetime! Inspirational sound toy recites “Now I Lay Me Down To Sleep” in a soothing child’s voice. Toy helps children learn their nighttime prayers. Embroidered eye & nose details ensure that the toy is safe for all ages. Perfect for infants, toddlers, and bigger kids. Plush toy is constructed from premium materials for unparalleled softness and huggability. 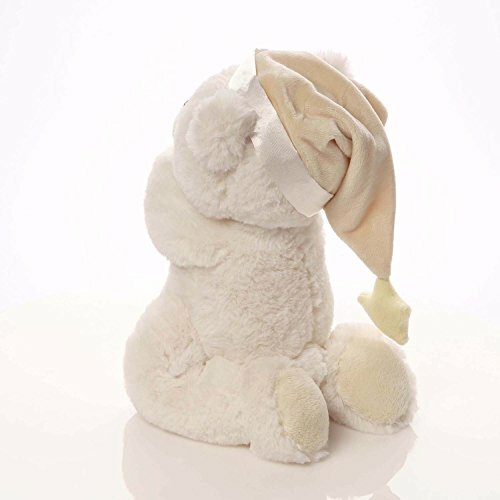 This 8” teddy bear features a cute, vintage sleeping cap and recites “Now I Lay Me Down To Sleep” in a soothing child’s voice. It can help lull baby to a peaceful sleep, and when they get older, it helps them recite nighttime prayers in an eloquent way. It is a fun way to help teach a child to learn his or her prayers. 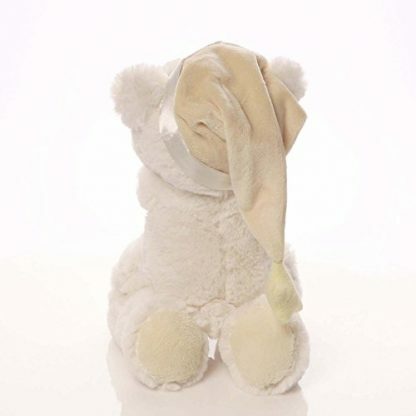 This musical teddy bear is a great gift for baptisms, christening, and dedication day! 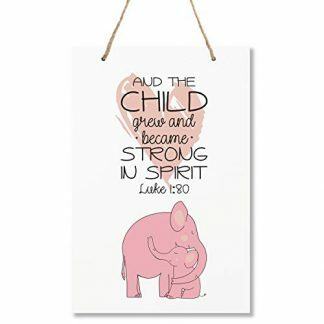 Aside from godparents, grandparents, aunts, uncles, and cousins can choose to give this to the special baby. It gives joy and comfort, and is also perfect as a decor for baby’s room.